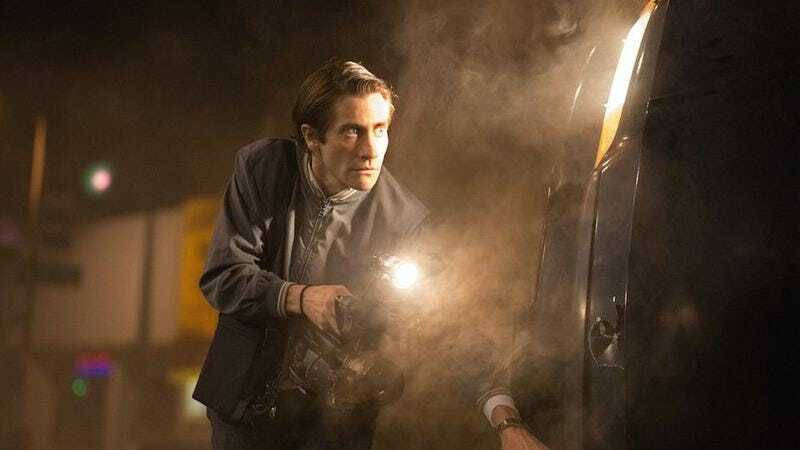 According to Deadline, Nightcrawler director Dan Gilroy is reteaming with that film’s stars Jake Gyllenhaal and Rene Russo for a mysterious new movie that we don’t really know anything about. The Deadline story says it’s an “untitled film set in the art world,” but that’s all we have at this point. Based on Nightcrawler, it could be about Gyllenhaal as a twisted creep who does all sorts of underhanded and illegal stuff to make good art, with Russo as the owner of an art gallery who knows he does bad stuff but tolerates it because she’s desperate for good art ratings. Or maybe it’ll be a gender-swapped Nightcrawler, with Russo as an unscrupulous artist and Gyllenhaal as the art gallery owner who is desperate for good art ratings. Either way, “multiple buyers” are reportedly interested in picking up this untitled art movie, and Deadline says it will probably get picked up by a studio by the end of this week.